In the third act of “A Study In Charlotte,” Ms. Pal stands up and declares that if the company where she’s worked her entire life is involved in murdering Charlotte, she’s going to help burn it to the ground. It’s a moment with some strange resonance for the episode. In general, the Elementary corporate face is white, male, and directly complicit. Pal is none of those, and when the line in the sand gets drawn, she tanks her career to try to offer up any evidence of wrongdoing. The company’s existing wrongdoing, however, never enters into the equation; its expansion into a neighborhood to avoid EPA pollution regulations is treated as a sidelong motive, at best; the corporate equivalent of an ex-boyfriend’s forearm tattoo. Pollution is a thing the entity does; it’s a victimless crime unless a body shows up in a basement. The company, as it turns out, isn’t responsible for Charlotte’s death after all. What happens to Ms. Pal after jumping her ethical shark and turning company documents over to the cops is never mentioned. Sherlock only assures us there was nothing suspicious in them; in fact, it exonerated the employees, since no one person stood to gain from Charlotte’s death. The company—the system—didn’t want her dead. Therefore, they’re innocent. It’s a very modern sensibility about the corporate identity, and it makes an interesting setup in an episode that’s such a direct adaptation of a formative and distinctly Victorian Holmes story—A Study In Scarlet, the one that started them all. And it’s one of the episode’s cleverest moves; substituting EPA regulations for Conan Doyle’s portrait of Mormons (painted as dangerously mysterious) puts everything firmly in Elementary‘s big-business-skeptic wheelhouse, skips the religious sensationalism, and still gives us a chance to marvel at the way that bylaws of any sufficiently complex system will sound equally horrifying and ludicrous to an outsider. Elementary‘s oblique nods to the canon tend to be more successfully layered than its direct ones. “A Study In Charlotte” isn’t bad, but it sometimes feels confined by its own devices whenever the references get too on-the-nose. (As much as I appreciate that the show hasn’t adopted the Conan Doyle habit of having Sherlock set everything up and then explain in the final moments as Watson marvels, there are some things that don’t gain much from playing out in real time; explaining RACHE via Joan’s happenstance look at a book cover is one of the most arbitrary last-act twists we’ve seen from the show recently.) The more elastic the show treats the canon, the better the results. In particular this episode, it replaces the novel’s early days of Holmes and Watson’s cohabitation with overlapping stories of neighbors. It’s a riff that touches repeatedly on the idea of how hard it is to live with people: the gamer neighbor upstairs from Ballentine, the next-door neighbor and his AwayCay setup, the corporation spreading through the neighborhood, the guy with a drug lab in his garage…and Sherlock. In a season that has suggested so much about coming back from low places, it’s fascinating that the show has finally acknowledged that Sherlock has neighbors who might have been affected by his lifestyle—and that it makes sure Sherlock does nothing about it. Joan is left to pick up the pieces; Sherlock merely suggests buying the man out, with the sort of hand-wavey surety you’d expect to see in his father. Is this a hat tip to the brash, infallible Holmes of A Study In Scarlet? Is this Sherlock—so confident about his current position that he’s content to sit in a time-out chair at a crime scene until Gregson can get him access—a glimpse at the untouchable man he was before his downward spiral? Or is this a red flag for someone whose confidence is about to receive a sharp check? It’s an almost shockingly cavalier delivery coming from a man whose recovery has been a long, painstaking process of making amends. We’ve seen him agonize before about the wrongs he might have committed when he was high. Perhaps he wouldn’t care to apologize in person (though what a great moment that would have been, instead of Joan playing middleman with a jar of honey). At the very least, it seems he’d be more aware of who he was, back when he was so out of control that he can’t remember whether or not he threatened a neighbor. But this Sherlock can’t bring himself to care; the only saving grace is that Joan’s measuring look seems to suggest she knows that’s a problem. It’s almost mirror-image, thematically, to the end of A Study In Scarlet, where Watson can hardly contain his righteous indignation on Sherlock’s behalf. And it’s all the more effective for suggesting that minor note instead. In a show that was able to more directly pay off its serialized moments, this might be the beginning of a wedge, the start of someone’s downward slide, rather than just feeling like a beat that’s slightly out of character. I’m not sure that payoff will happen here; so much of this show’s grace notes come from things that never quite pan out. But something about that moment in the kitchen makes me wonder if this will become important again. It feels like magnets that have been flipped around for a second so that they repulse each other. By the end of the episode, everything’s back in place like it was never moved; I find myself hoping it doesn’t stick. That opening scene was…something. Don’t do ‘shrooms, kids, I guess! The conspiracy is global. Joan will never get a good night’s sleep again. Related: Gregson requested five minutes for Sherlock and got two. That is not a particularly great rate of return on his ask. Signs of discontent among the police force to create a more nuanced backdrop for a system in which people like Gregson and Cortes both operate, or just a setup to let Sherlock tackle the whole thing in ninety seconds and walk? 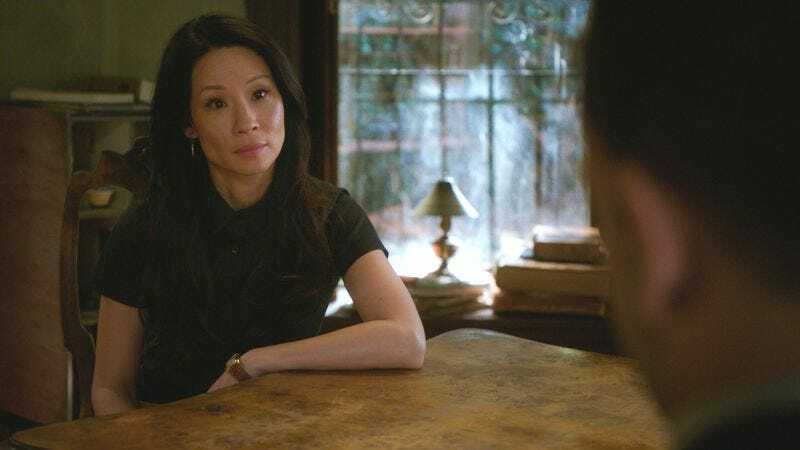 Even in an episode that doesn’t totally grab me, Jonny Lee Miller and Lucy Liu together nearly always will; the telepathic look between them in the chat room, the wary lines of Watson’s expression when Sherlock blithely dismisses their neighbor’s concerns—that connection between them is the heart of the show, and I always enjoy these moments. While I understand the necessity of narrative expediency, I will admit I spent a long time waiting for Charlotte’s lab boyfriend to be exposed as a giant liar, because I was convinced there had to be a twist to his assurance that nobody knew about their relationship. If there are two things I know about small groups of people working in close quarters, one is that the observant people are always going to spot a work hookup, and the other is that even the unobservant among them will probably notice matching forearm tattoos if you’re wandering around the lab with your forearms sticking out like that dude was. 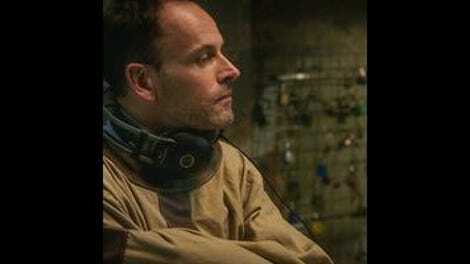 That’s the second Moriarty mention in the last few episodes; as before, Joan reminds Sherlock about Irene. Knowing how this show can build a long, slow base for something, and given that Sherlock’s bubble of forgiveness could pop at any moment, this seems worth keeping an eye on. What does any man have against his ex?, indeed.